The Slovenian player who shines in the NBA after his time at Real Madrid basketball, published a curious tweet about Spanish high-speed trains. Luka Doncic has had a fantastic landing in the NBA after passing through the basketball section of Real Madrid. The Slovenian has won by fast track the consideration of star and has all the ballots to proclaim Rookie of the Year. The player is very active in social networks, especially on Twitter where he makes daily publications. 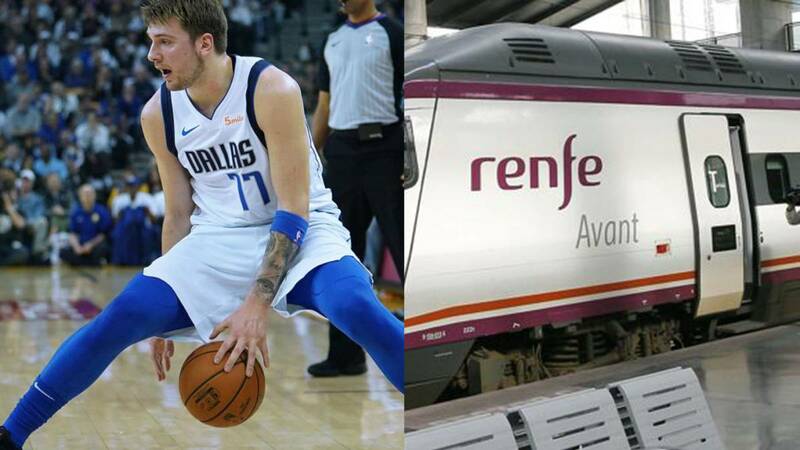 The last one has become viral in a few hours and is that, unwittingly, Doncic has become a good ambassador for Spain and the railway operator Renfe. "I heard that Texas is close to beginning the construction of a high-speed train. I have taken Renfe trains in Spain and I can tell you that they are great. Sure, fast, punctual and relaxing for the big boys ", wrote the formermadridista. In less than an hour the tweet already accumulates thousands of retweets and infinity of answers where users have seen in Doncic the ideal ambassador of Spain in the United States. These are some of the funniest reactions: from the 'promosió' to the purest Broncano style to the irony of Extremaduran users for the service of the railway operator in its autonomous community. Would Luka be a good ambassador?